My kids LOVE this as a snack, even after school with some fresh sliced cucumber to cut the spice! I swear these don’t last long in our house. The ingredients are really quite straight forward and easy to assemble. Pull apart and chop the rotisserie chicken. 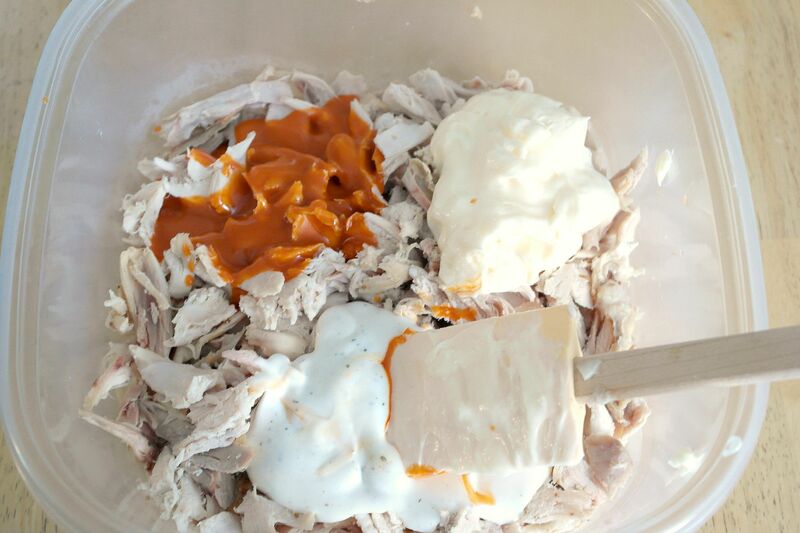 Add the buffalo sauce, mayonnaise and ranch dressing to the Chicken. Add the onions and celery. Mix well until combined. Set aside. 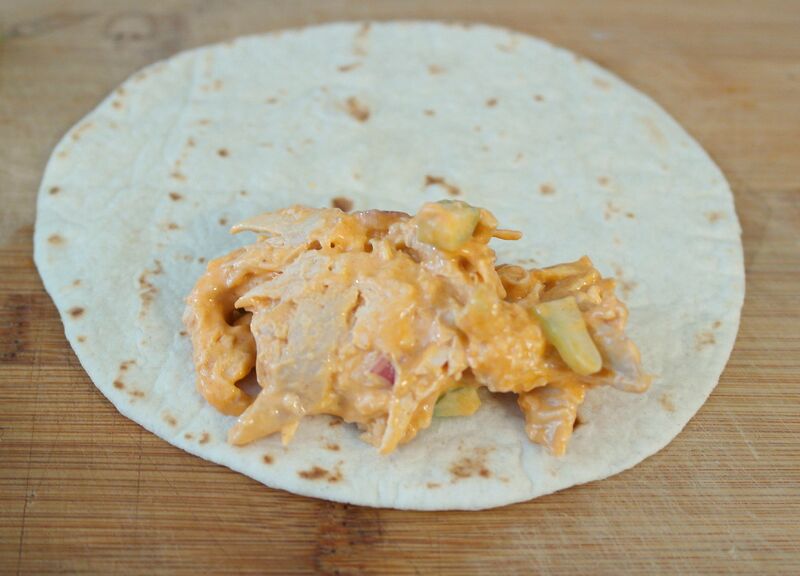 Grab the flour tortillas and a small spoon and scoop a small amount of the chicken salad onto the lower end of the tortilla. Fold over one time and fold in the sides to form a pocket. Continue rolling until you come to the end, leaving the edge on the bottom. 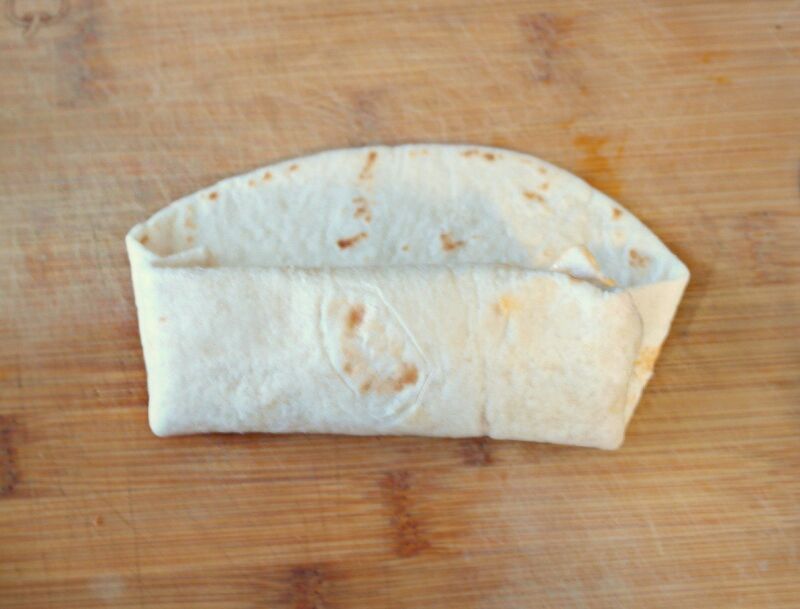 Cut the wrap in half at a slight angle. Cutting it on an angle creates a nice point which is great for dipping! 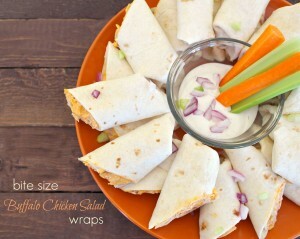 Then all you have to do, is arrange all the Buffalo Chicken wraps on a serving tray! Dig right on in! Serving Suggestion: Cut carrots and celery. Serve with dipping dishes of buffalo and ranch dressing! 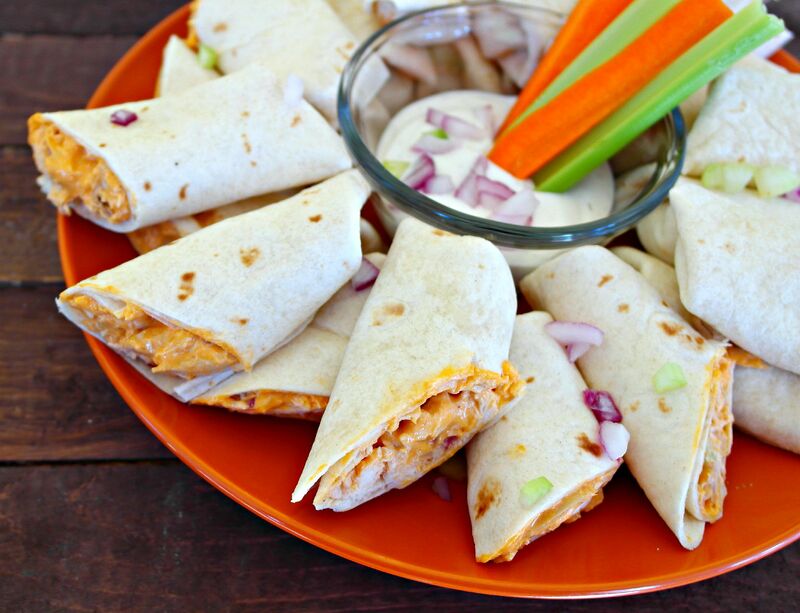 A wonderful bite sized Buffalo Chicken Salad wrap served with amazing dips. Sure to please everyone. Add the onions and celery, mix well until combined. Set aside. 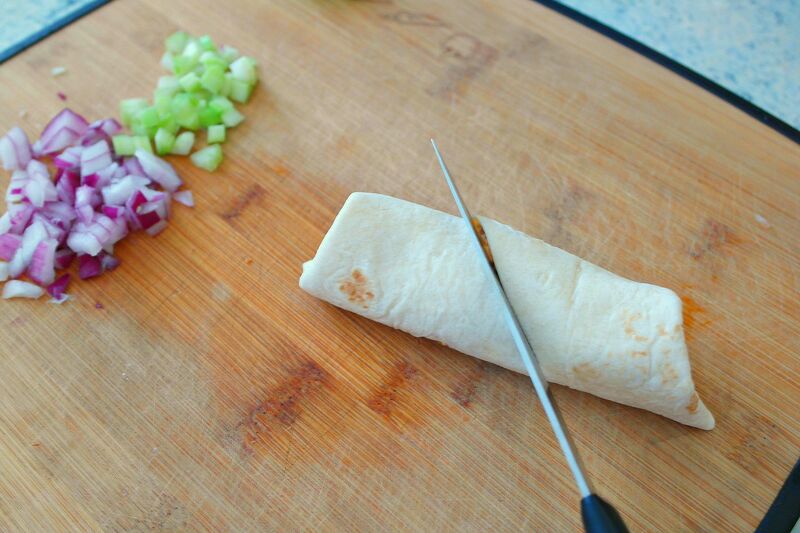 Cut the wrap in half at a slight angle, this creates a nice point which is great for dipping! 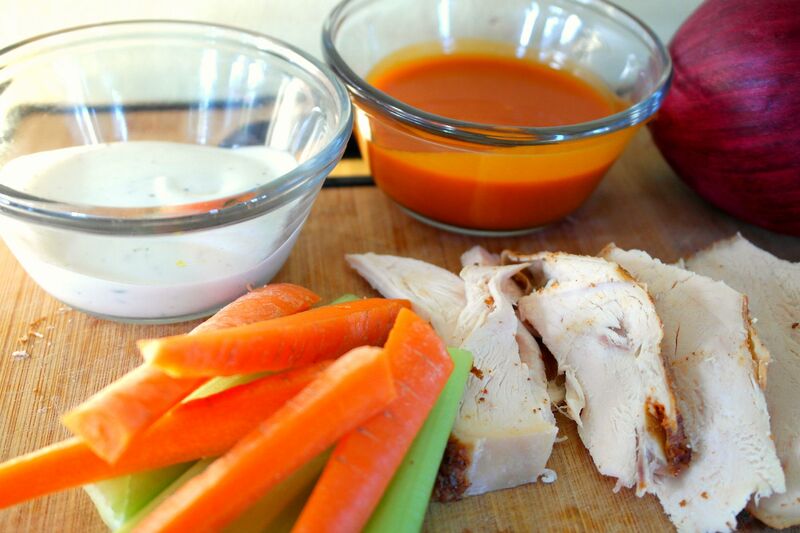 Serving Suggestion* Cut carrots and celery, serve with dipping dishes of buffalo and ranch dressing! 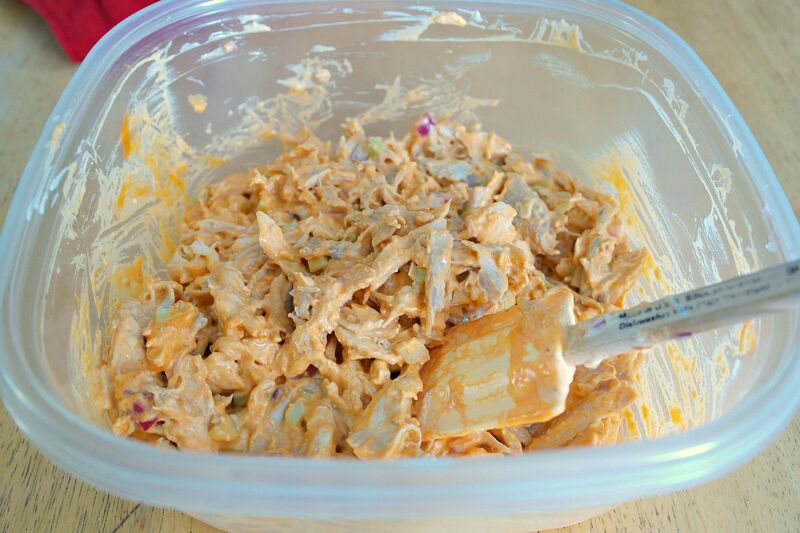 Have you ever had Buffalo Chicken Salad?